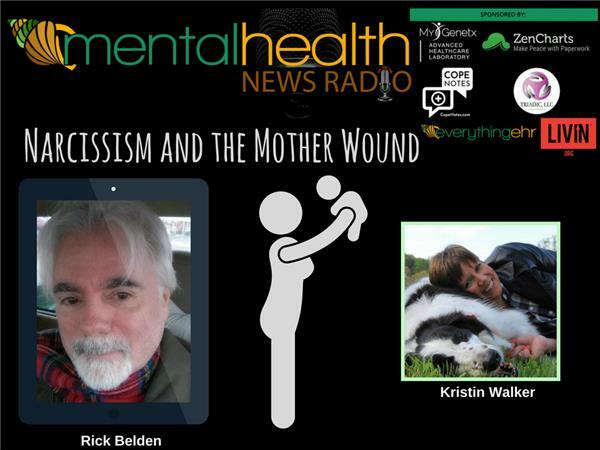 RIck Belden joins host Kristin Sunanta Walker to discuss Narcissism and The Mother Wound. This is something that affects men and women greatly. We take a deep dive into the subject from the male and female perspective to offer a balanced view of this important topic. Rick's article on the subject can be found here. Rick Belden is a respected explorer and chronicler of the psychology and inner lives of men. Rick has been writing for most of his life and exploring the use of creative expression, dreamwork, personal mythology, and listening to the body as tools for self-healing since 1989. His book, Iron Man Family Outing: Poems about Transition into a More Conscious Manhood, is widely used in the United States and internationally by therapists, counselors, and men's groups as an aid in the exploration of masculine psychology and men's issues, and as a resource for men who grew up in dysfunctional, abusive, or neglectful family systems. Rick's books can be purchased by clicking here. In addition to his ongoing activities as a writer, Rick has been working in the information technology field for over 25 years as a software engineer/designer/developer, systems analyst, business analyst, and consultant for numerous organizations in both the public and private sector. He lives in Austin, Texas.